John W. Kiser is the author of numerous books, most notably The Monks of Tibhirine: Faith, Love and Terror in Algeria, which won the 2006 French Siloe Prize for best book on a humanistic topic, and which was the basis for the 2010 Cannes award-winning film, “Of Gods and Men;” and Commander of the Faithful: The Life and Times of Emir Abd el-Kader, which is the inspiration behind the Abdelkader Education Project and its annual Abdelkader essay contest in Elkader, Iowa. 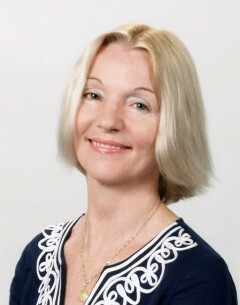 A former international technology broker, Kiser has an M.A. from Columbia University in European History and MBA from the University of Chicago. 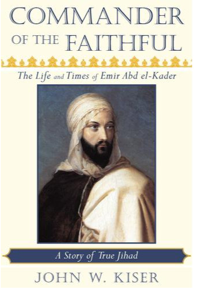 Kiser’s talk will review the highlights of el-Kader’s life during war, peace, imprisonment, and exile, exploring how faith and higher knowledge strengthened him as he suffered defeat, betrayal and loss. In so doing, Kiser will show how the emir’s exemplary life of faith-based moral leadership not only brought him worldwide acclaim from the likes of Abraham Lincoln, Pope Pius the IX, Queen Victoria, and Emir Shamil, but also motivated a town in northeast Iowa to adopt his name.